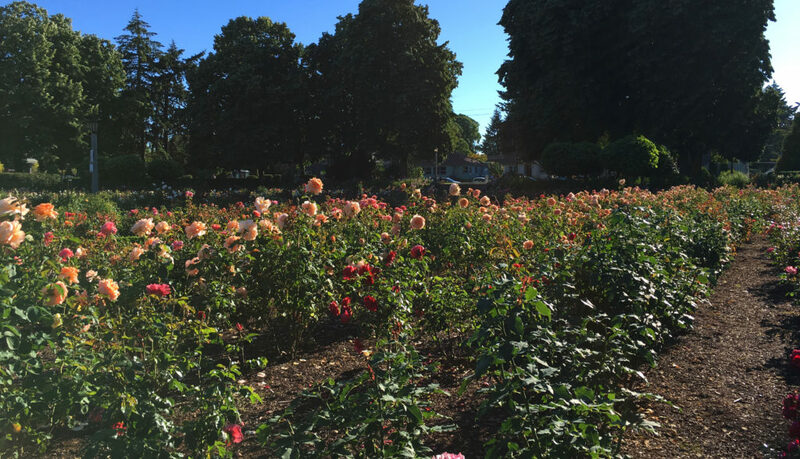 Find out why I like this Portland rose garden better than the famous garden in Washington Park. 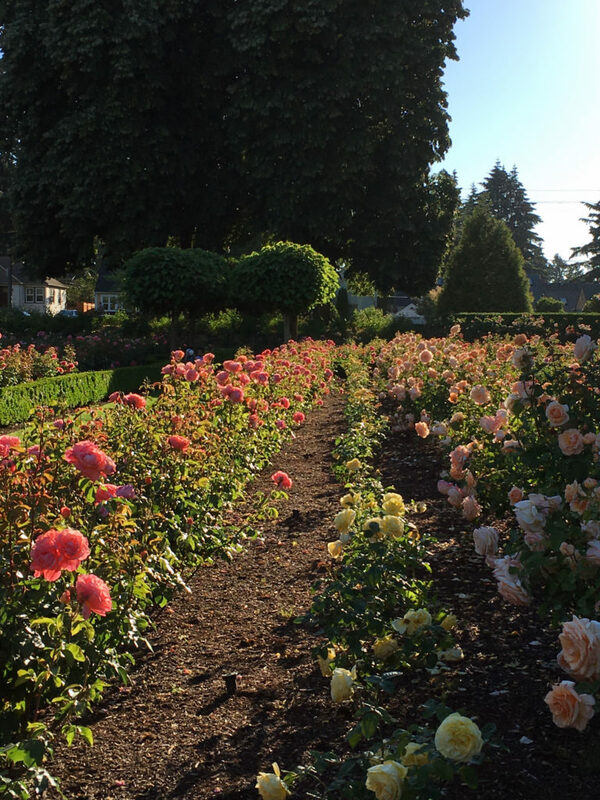 I know this is controversial, but when it comes to Rose Gardens, I prefer the Rose Garden at Peninsula Park in North Portland to the famous International Rose Test Garden in Washington Park. 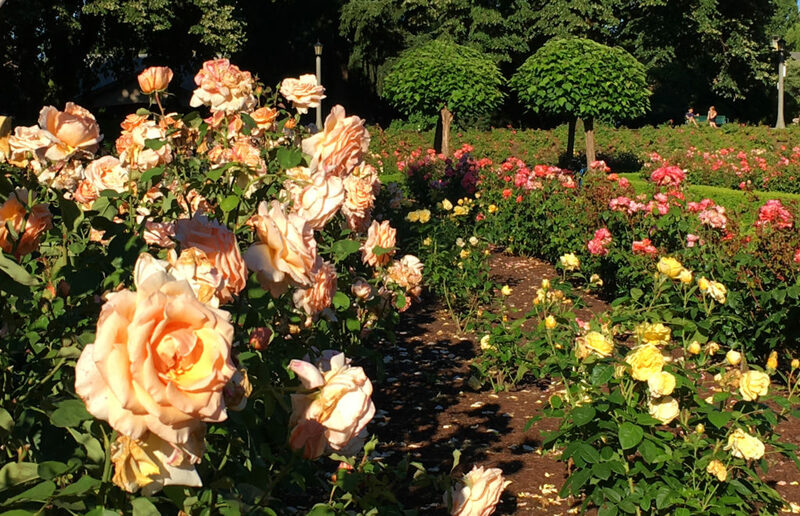 Sure, this one is much smaller with fewer varieties of roses, but as gardens go, I’d much rather spend time here. 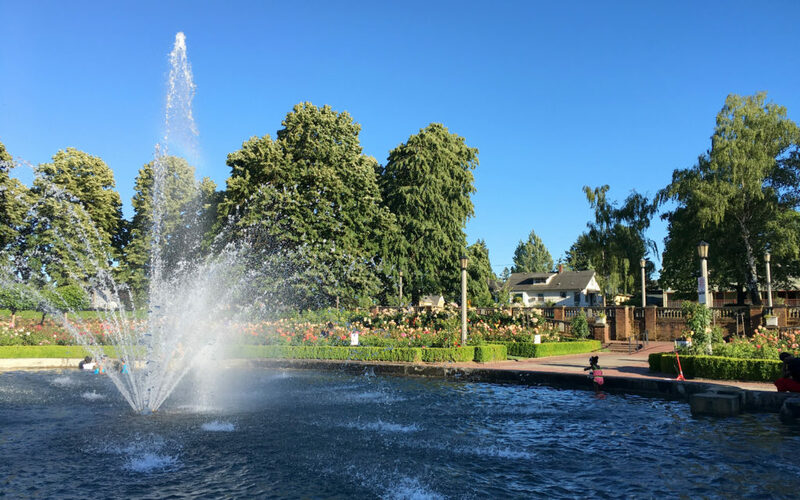 With it’s elegant fountain, hedged -lined rows and sunken design, it’s just a lovely place to be. We stopped in for a walk on a warm evening last week and it was just charming. People where picnicking on the grass, others were reading on benches, and a few couples were on dates (I love how you can tell from body language when people are on dates). 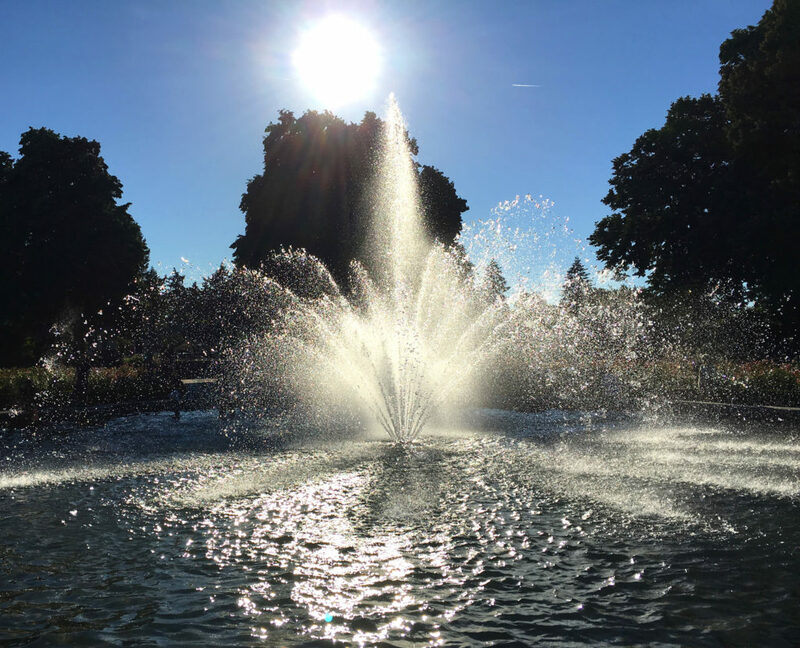 Kids splashed in the fountain as the sun set behind the trees. 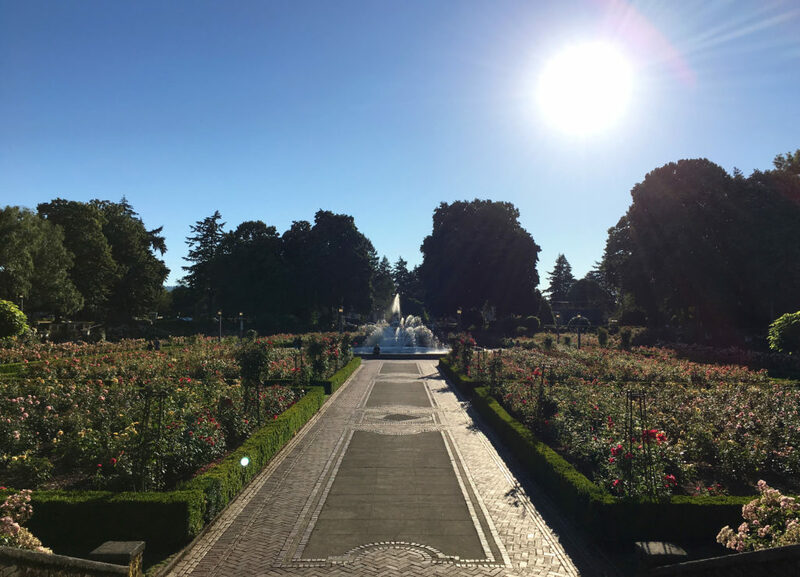 I know not everyone will agree with me, the Test Garden is quite impressive, but if you are in the neighborhood give the Peninsula Park Rose Garden a try. I think you’ll like it.